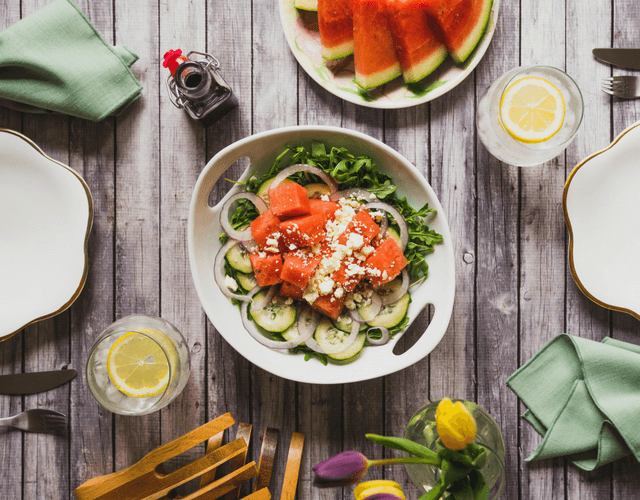 Drinking water is essential to our health and staying hydrated is important at all times, but did you know that eating foods of high water content is also beneficial to your diet? Here's the perfect one to eat more of - and it's delicious, too! Watermelon, which is 92% water! Now, there's even more reason to love the watermelon! There's a new Crisp and Fresh Watermelon out that is the perfect, ideal melon. Why? Because it doesn't drip! Plus, the healthy benefits don't stop just at its juiciness! This combination of water and fiber content means that you are eating a decent volume of fruit, but without all of the extra calories! This makes it not only a hydrating food, but one that also makes you feel full. A lot of parents are mistaken, however, and think that watermelon is low on vitamins and high on sugar content due to its sweet taste. Although in reality, watermelon is a surprisingly nourishing fruit! Not only is it a low-calorie treat, but it’s also good for your overall well-being. Watermelon is rich in both vitamin A and C. These vitamins are important for your skin and hair health. Vitamin A is important for skin because it helps create and also repair skin cells. Vitamin C helps boost collagen, a protein that keeps your skin supple and your hair strong. Watermelon can also help aid in digestion. Watermelon contains significant amounts of water and a small amount of fiber. Still, this fiber can help promote healthy bowel movements while the water helps keep your digestive tract moving. Together, they are both important factors when it comes to healthy digestion. Watermelon contains lycopene, an antioxidant and anti-inflammatory compound that fights several diseases. It can help lower cholesterol and blood pressure, making watermelon a heart-healthy fruit. It can also help aid against oxidative damage and inflammation. This plays a role in eye health and prevents age-related macular degeneration. 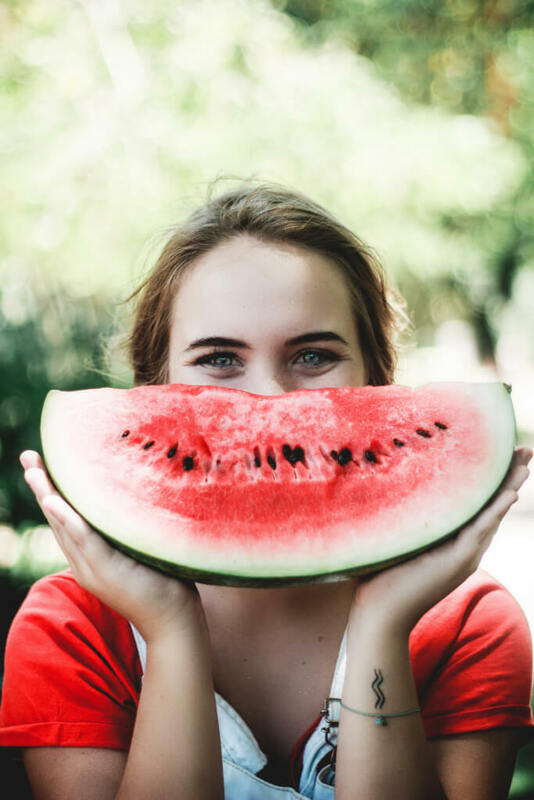 So, hopefully now you know that watermelon isn’t just an easy, sugary snack for the kids on a hot summer day, but it's also a healthy, quick snack for you! 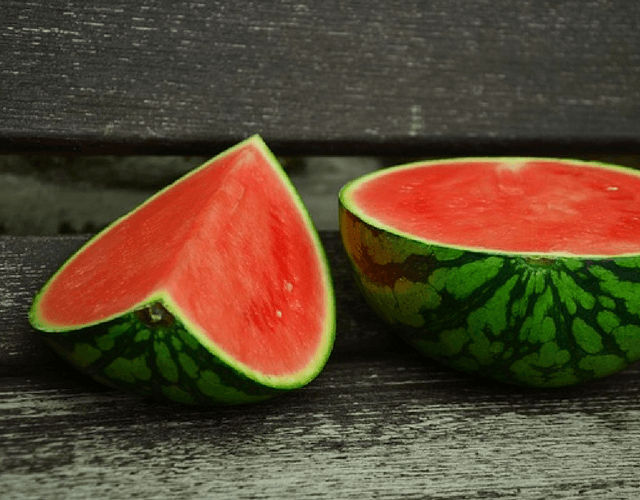 So, next time you pick up a juicy piece of watermelon thinking it's full of sugars – think again! It is nutrient rich AND aids in weight loss. Looking for a fresh and healthy recipe? 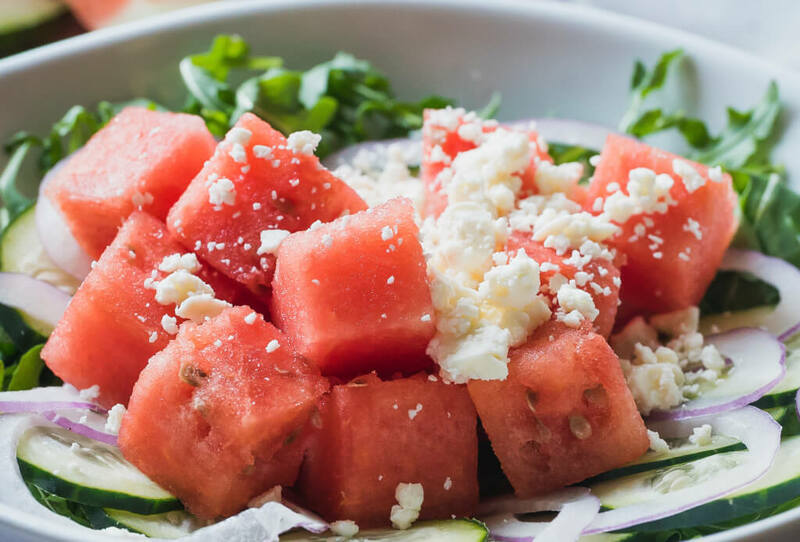 Check out this Crisp and Fresh Watermelon Salad!